Do not stress yourself trying to do everything. Professional carpet cleaners in Chermside are quicker and more efficient in getting the job done. It is better to hire a premium carpet cleaning service in Chermside, if you lack the time to clean the carpet yourself or if you do not have resources to purchase carpet cleaning products and expensive equipment. 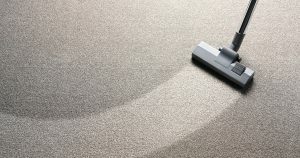 Premium carpet cleaners have the skills to assess your floor and determine the best cleaning equipment and products to use. They will remove stubborn stains, odour, dirt, pollen, mould, and fungi that have seeped into the carpet, so you can have a clean and fresh-smelling floor. Bacteria, dust mites, and viruses can easily find their way into your carpet even if you maintain that the rest of your home is clean or you vacuum every day. You can drag them in from outside or they could be coming from your body as well. In most cases, vacuuming is never enough to ensure a clean carpet. Hence, it makes sense to book a premium carpet cleaner to ensure a thoroughly clean floor. Our cleaning technicians pride themselves on their thorough carpet cleaning techniques. KCJ team are certified and trained with the Institute of Inspection Cleaning and Restoration (IICRC). Our technicians hold many certificates of education and we constantly update education and equipment to bring you all the latest advancements in the industry. Call KCJ Carpet Cleaning in Chermside west to book on 1300 006 226.